The INFLAS (INFLAtable Seal) control AMVC-IV MK3 is designed for controlling inflateable seals. 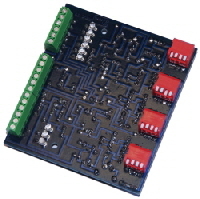 The main parts of the control are the valve block and the control logic. The valve block contains the inflate- ,deflate- and pressure maintenance valve. and is available as well as ATEX version. The control logic offers four individually adjustable timers for delay open valve, time of deflate, delay inflate as well as delay of fault indication. 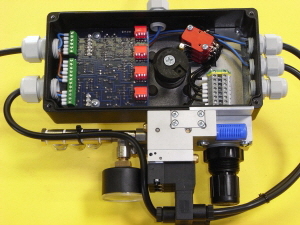 The valve block as well as the control logic are small enough to embeded in the junction box of the drive. Further informations you can get by phone or use the form filed under Contact or download AMVC-IV-MK3_HB manual.